Experience Touch a Truck in an exciting new way! Get a group of friends together or celebrate a birthday in our party room. Tickets for 10 children and their Parent chaperone (20 tickets total). Additional tickets can be purchased in advance for $10.00 each. Food and drink available for purchase through the Pontchartrain Center Catering Menu; hosts may bring their own cake. 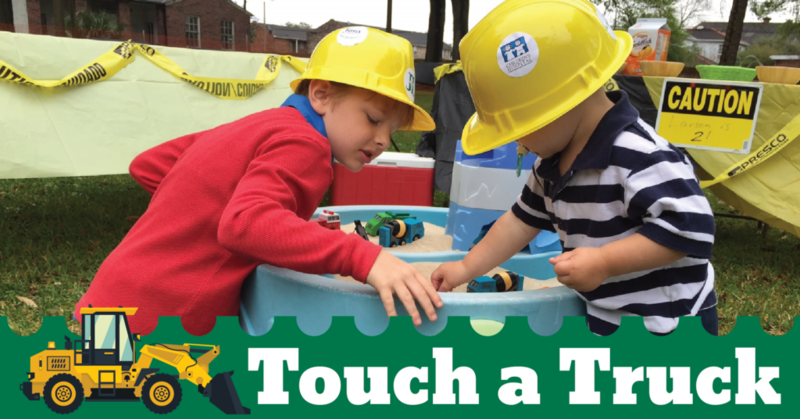 To reserve a party, click here, select the Touch a Truck 2017 Fall Party option, click the Purchase button, and follow the prompts to complete your order. You may also buy additional individual or family pack tickets at that time. JLNO’s Touch a Truck is on November 4, 2017 from 10 am to 2 pm at Pontchartrain Center (4545 Williams Blvd, Kenner, LA 70065).